I just recently returned from burying my mother. Oh, yes, she’s dead. 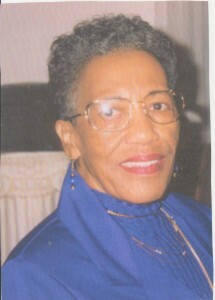 She passed on September 10, five days after my birthday, at the age of 90 years and 9 months. Due to her age and physical condition, her death was not unexpected. For some time now, Mother had been suffering from various ailments–diabetes, kidney trouble and anemia, among them, but she always remained in good spirits. I don’t feel at all sad, because my mom was ready to go. She didn’t have anything to live for anymore. For the last few years she was confined to a hospital/hospice/nursing home facility, where she received around-the-clock care. She could no longer walk or go anywhere on her own or do anything. She was basically only existing. This year Ma succumbed to dementia, and became increasingly disoriented and confused. She still knew me and my siblings and her grandchildren, but her memory was short-term at most. She would repeat herself often, not realizing that she just told me that a moment ago. So since she had already resigned herself to her passing, we all accepted it as well. She led a good, long life, and I have no regrets or unfinished business with her. The last time we spoke on the phone, only a couple of weeks before she died, and every other time that we spoke, we both said “I love you” to each other. My mother, Jeannette Agnes Wilson-Poston Amos Townsend McNeill (born in 1924), lived in South Bend, Indiana her entire life. She even lived in the same house for 80 of those years. By the late ‘90s the neighborhood, where we kids grew up as well, became rather rundown and unsafe, so Mother moved into a seniors-occupied apartment complex in another part of town. This was the first and only time that she lived alone. Before then she was always with her parents, children or husband. She loved having her own place while it lasted. But then she got too sick to care for herself and had to be confined to the hospital, where she lived out her remaining few years. Jenny was a dear, sweet woman who was kind, always cheerful, honest, out-spoken, friendly and cordial and well-liked by everyone. She didn’t know any strangers. When she visited me in NYC, she’d be talking to people on the street and in restaurants like she’s known them forever. I would tell her, “Mama, you don’t know those people. Why are you telling them all your business…and mine! ?” But that’s how she was. She just liked people. In her younger years, Mama worked at various jobs, including elevator operator, busgirl at a restaurant and housemaid. When she dropped out of high school at the end of her junior year, her only option, in lieu of marriage, was to go to work. She worked at Bike-Webb, a factory that made elastic garments and as a seamstress at Wilson Brothers clothing factory for several years. She next was a school crossing-guard for 20 years, until she retired for good in 1981. She also moonlighted as an undertaker’s assistant, but only as a sort of hostess and guide; she didn’t have to deal with corpse preparation. She attended the wakes and funerals, greeting and comforting the loved ones of the “dearly departed,” rendered a vocal solo when it was requested, and even drove the hearse occasionally. Although Mother was an accomplished and talented singer in her own right, she never pursued a professional career with her singing. So she lived vicariously through my musical endeavors. When she was still a teenager, however, a man who was with a traveling dance band heard Mama singing one day and offered her a job with his band. Of course, her parents would not let her go with them. She was too young, and they weren’t going to relinquish their child to a bunch of errant strangers. I suppose I shouldn’t regret that she did not run off with that band so many years ago, for if she had, her life would have taken another path, she most likely would have not met my father, and I would never have been born. So you see, everything happens for a reason. Mama did sing in her church choir for most of her life (and I along with her and my grandfather as well, until I left home), did solo work and even occasional recitals. For a while she directed our church’s youth choir, and of which I was also a member. As a young woman, Mother was a regular member of the H.T. Burleigh Company, a local theatrical troupe that produced musicals and even operas. When I was only twelve, I appeared in my first Carmen with the Company, as part of the children soldiers’ chorus in Act One. I had a special relationship with my mother. She was my pal, my buddy, my best female friend. In fact, she called me Buddy. That’s been my nickname all my life. One of my earliest memories was that I was a “Mama’s boy,” and I remember following her around the house like a shadow. It’s a wonder that I became so independent as I am now. But knowing that I would be on my own someday, I learned how to fend for myself. I can cook, iron, sew and do my own laundry. Even when I left home temporarily and then for good, my mother and I regularly corresponded with cards, letters and phone calls. No matter where I happened to be in the world, we always kept in touch. I think that is what I am going to miss the most–our phone conversations. Hearing my voice always made her day. And I always had to end the calls; she would keep me on the phone all day if I let her. Some of our common interests were our love of records, movies, music and singing. Mama must have instilled those aspects and talent in me as well. She told me that she sang the whole time that she was pregnant with me. I always acknowledged Mother’s Day and her Christmas birthday (Dec. 23) with a gift and a card. Typical gifts were cash (she could always use that! ), recordings (my own, especially) or inexpensive jewelry items. She loved cheap jewelry, like earrings and brooches and such. She was not a flower person. I’m not either. What purpose do they serve? She preferred things which have a practical function, as do I. I had the foresight to throw Mother a surprise 90th birthday party last summer when I was in South Bend for a family reunion (my father’s family). As it turned out, it was good that we did it then, because she never made it to 91. It was the last time that she got to see me, as well as some family members and mutual friends. Besides the four of us, there are five grandchildren and seven great-grandchildren. Mother was so proud of me and all my achievements, musical and otherwise, and she was my biggest fan. Over the years and whenever possible, my mom would come to where I was to see me perform. She came down to Bloomington while I was at I.U. to see me act in a play (Jean Genet’s The Blacks). She saw some DeCormier shows, the Flirtations several times and even traveled to Toronto to see me when I was on the Canadian tour with Harry Belafonte. She was there for my stage debut in 1952, and ultimately, I performed for her after her death as well, when I delivered the eulogy at her funeral and rendered a dedicatory solo, standing directly over her coffin while I sang. Now let me tell you what kind of mother she was. Jenny managed to raise four children, practically all by herself, as my parents were divorced when I was only three. I am the second-born of three sons (I’m “Malcolm in the Middle”) and a daughter, who is the result of a subsequent relationship. Considering how well we all turned out, I think she did a pretty fantastic job in raising us. None of us were ever in a gang growing up, in trouble all the time or hooked on drugs or in prison. Mother herself did not ever have a criminal record. We were all really good-mannered, well-behaved kids, and I think Mama had a lot to do with that. I instinctively say “please,” “thank you” and “excuse me” without even having to think about it, because that is what we were taught. Our mother was never abusive to any of us, physically or emotionally. She never raised her voice to us in anger, not that we ever gave her any reason to, and we never disrespected her either. I am appalled at how some children talk to their parents, calling them ugly names and saying that they hate them. That sort of behavior was absolutely unheard of in our household. We all had mutual respect for one another. Mother neither smoked nor drank. There was never any alcohol in the house anyway. We never had much money growing up, so none of us were spoiled or demanded things that we knew our mother could not afford. As a result, I still am frugal, non-extravagant and tend not to spend money unnecessarily. We didn’t know just how poor we were because we were always well-fed, clothed and had a roof over our heads. Mama woke us up every morning for school and made us breakfast. We never started our day hungry. Our mom showed us all unconditional love and was always accepting and supportive of anything that we wanted to do with our lives. We could talk to her about anything. She would give advice if we asked for it, but she never was judgmental. Her life was not perfect by any means, so she chose not to criticize and reprimand us when we made mistakes. You know how some parents are disapproving of their kids’ friends and acquaintances. Our mother was accepting and respectful to all of our friends. A couple of my own homies, for example, were, shall I say, a bit obvious, gayly-speaking, but Mother never talked about them disparagingly or criticized their unmasculine demeanor. I guess she realized that if I liked these boys, it was not her place to suggest that I should not be friends with them. In fact, she liked them, too. All my friends were good kids like myself. She had no reason to object to any of them. Besides, some of her boyfriends over the years were not all they cracked up to be, so she knew better not to dismiss any of mine. I can’t ever accuse my mother of being neglectful or remiss in her duties as a parent. She was always there when we needed her. We never once had an outside babysitter. When she was at work, our live-in grandmother watched us, and the rest of the time, Mama would be at home taking care of us herself. She was quite the homebody, not one to be out in the street every night doing who-knows-what, and I must have gotten that from her, too. Even now, I go out only when I have to. Mama knew all of her kids, because she spent a lot of quality time with us. She read to us when we were little–in fact, she taught me how to read before I started kindergarten–she took us to the movies often, the indoor theaters as well as the outdoor drive-ins, we watched TV together, she played cards and board games with me and my brother and our friends, she attended my brother’s Little League baseball games, and we even went bowling a few times. Since we didn’t drive yet, she was our personal chauffeur until we left home to attend college. Mother knew her way around a sewing machine and used to make some of her own clothes. She taught me how to embroider, and I introduced her to Paint-By-Number. We were alike in many ways, with similar personalities, intelligence, wit and a great sense of humor. We made each other laugh often. We had private references between us that we didn’t have to explain. She just got me. My mother absolutely adored me. But how could she not? I am so adorable! She will be greatly missed. Lester Townsend, Man of the Century–Literally!